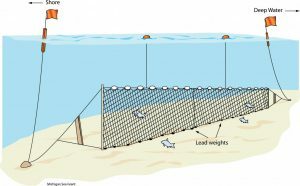 Gill net (image credit: Michigan Sea Grant). 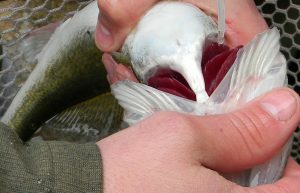 A gill net is a simple type of fishing gear that is staked to a substrate to create a wall of mesh. 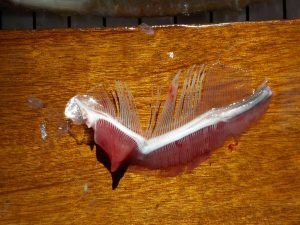 Gill nets are often made of a material, such as monofilament nylon, which is practically invisible to fish attempting to swim by. 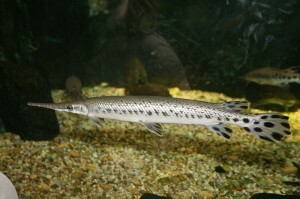 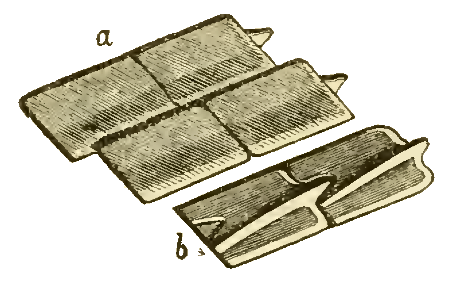 As the name implies, fish are often caught by the gills because these nets are designed for the head of a fish to fit through but not its body. 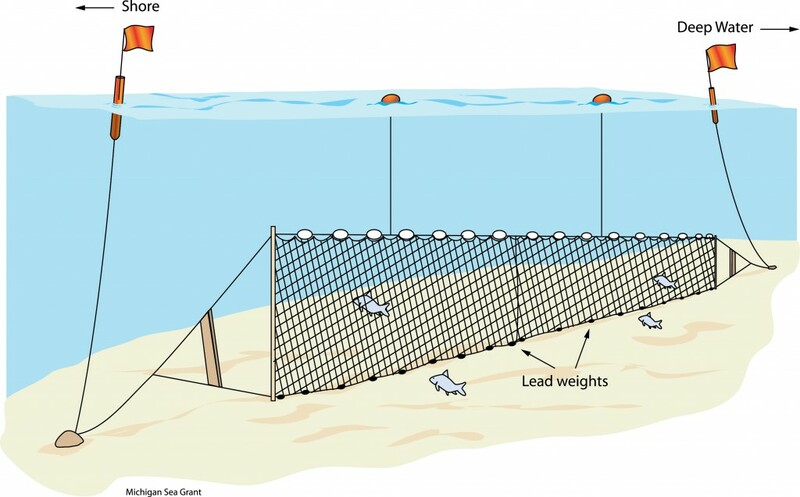 Management strategies to reduce bycatch in gill nets include regulating the mesh size so that the net openings are large enough, for example, for undersized fish to swim through unharmed but for legal-sized fish to be harvested.